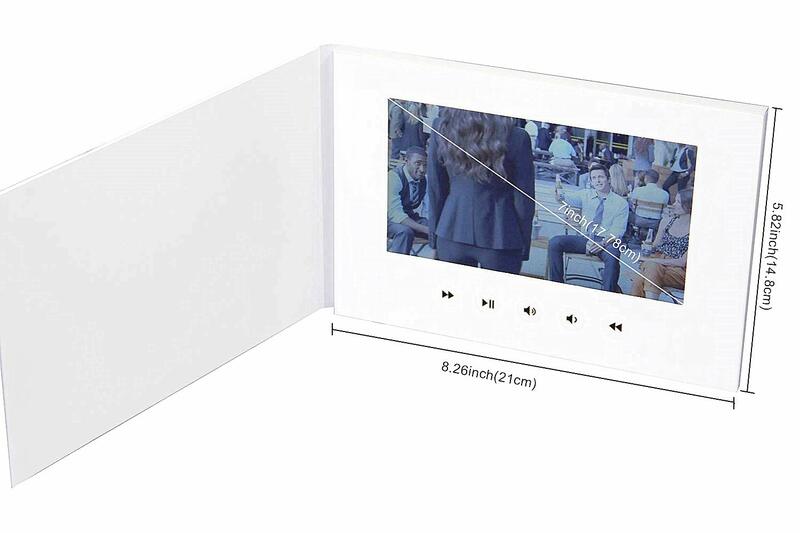 【Portable 7’’ Digital Display】 compact A5 size fit conveniently in hand or bags for a easy carrying, transportation or mailing. Its 1500 mA rechargeable battery with micro USB cable makes it great for fast playing at whatever place at any time. 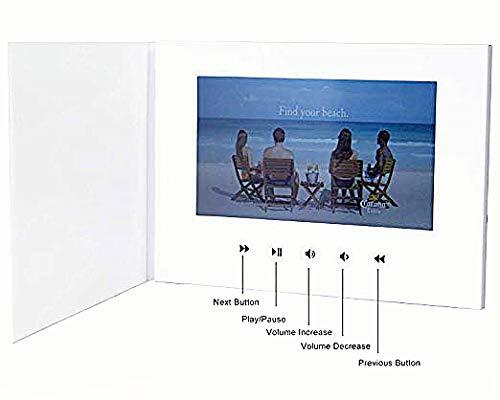 【Convenient Simple Operation】Video brochure operate independently without wires, internet access, software downloads and installation. Complete with multiple control buttons including volume controls, on/off switch, previous/ next video selecting, and play/pause. 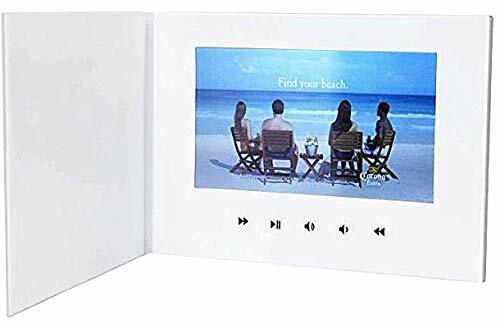 【Simply Custom Your Own Style-】easy to custom your cover your favorite images, fonts, text, logo and others by proving 4pcs self-adhesive A5 printable photos. Plus, personalize your fun, unique content by simply uploading video. 【Wide Usage for All Occasion】 perfectly used as high-end manual book, product catalog, adverting brochure, or exhibition of personal works to customers. 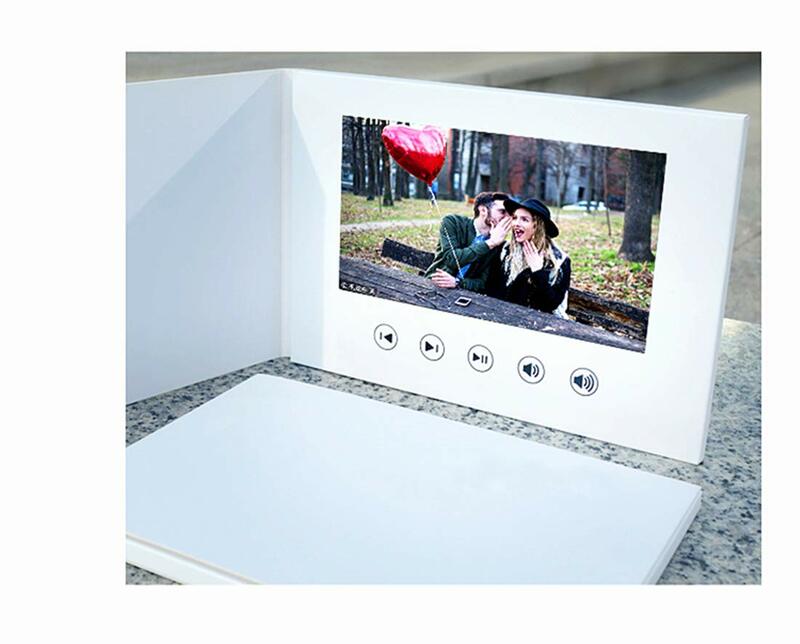 Best gift for friends or family in wedding, birthday, mother’s day, Christmas and so on. We provide customized servie. Minimum order quantity 100+. Please feel free to contact us to get further information.